The front door decor of a house makes the first impression and it starts telling a story. This story continues throughout the interior decor while building the experience of a home. And just like every story has a new chapter, so does every new door and doorway. 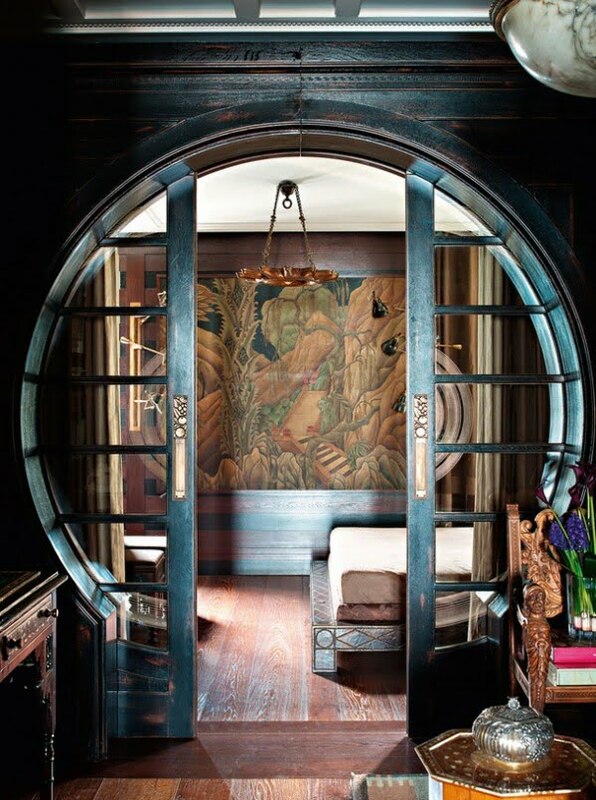 Today we’re going to look at the most unique and extraordinary doors and doorways in interior design from all around the world which get our creative minds racing. If these doors won’t inspire you then nothing else will. Let’s get inspired! This extraordinary door can be found in the Palacete Chafariz D’El Rei in Lisbon, Portugal and it’s absolutely stunning. The classic crown molding makes it beautifully sophisticated and the stained glass adds a lot of decor interest. But what really does it with this door is the out of the ordinary shape of the frame which makes it really stand out. 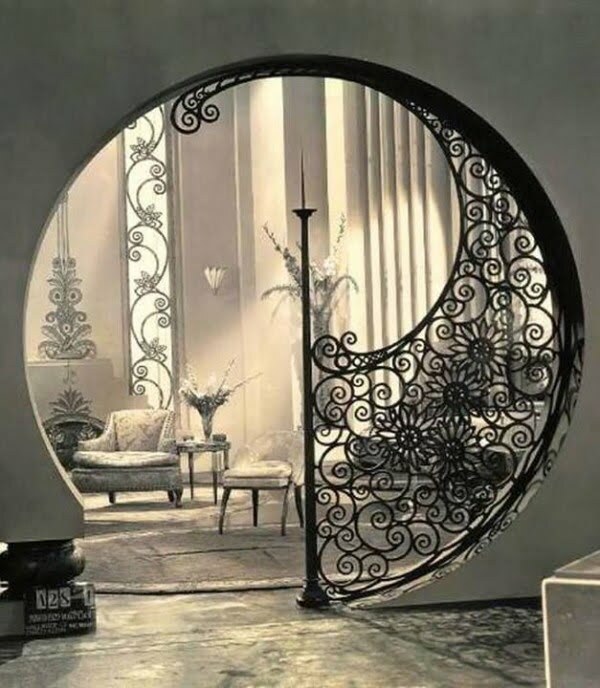 Vintage Hollywood glamour comes with this vintage art deco doorway design from the 1930s. This design is truly a great source for inspiration. And here’s how the previous vintage art deco design looks like if it’s implemented in traditional interior. 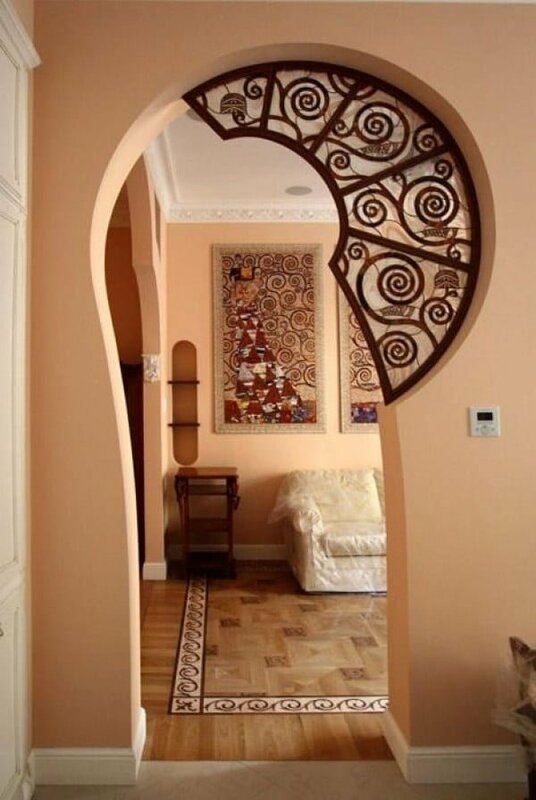 It adds a lot of architectural interest and makes a great decor statement. 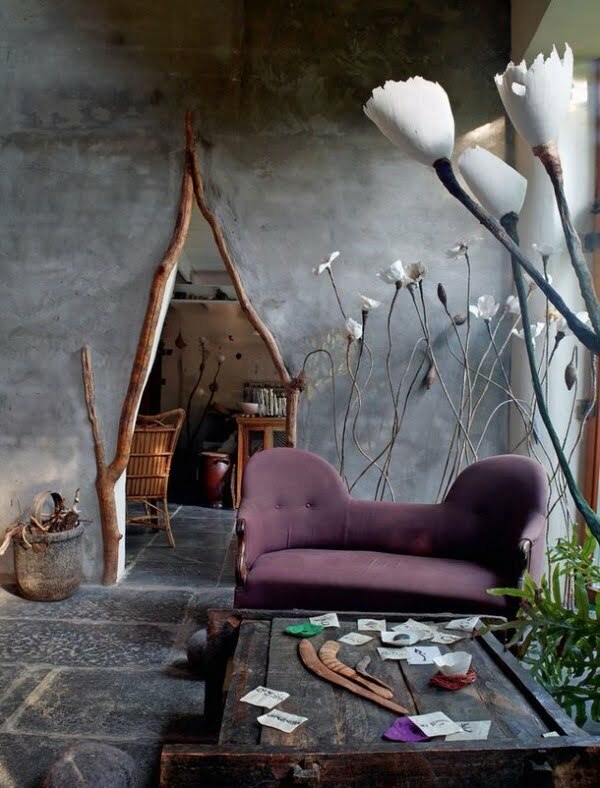 Roos van de Velde is an artist from Belgium who has designed her wonderful home and it’s nothing short of amazing. 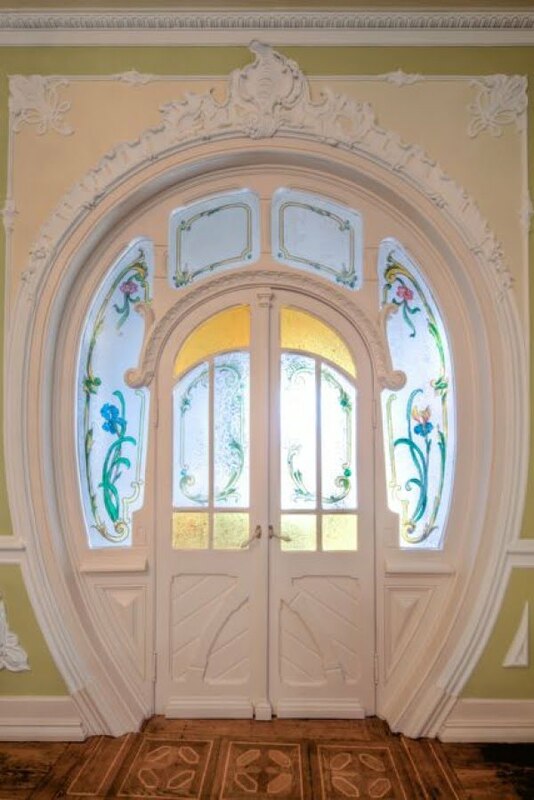 This whimsical doorway is but a small part of the awe inspiring interior design of this house. Cob is a natural building material and a house designed to be built from natural material is inspired to be out of the ordinary. 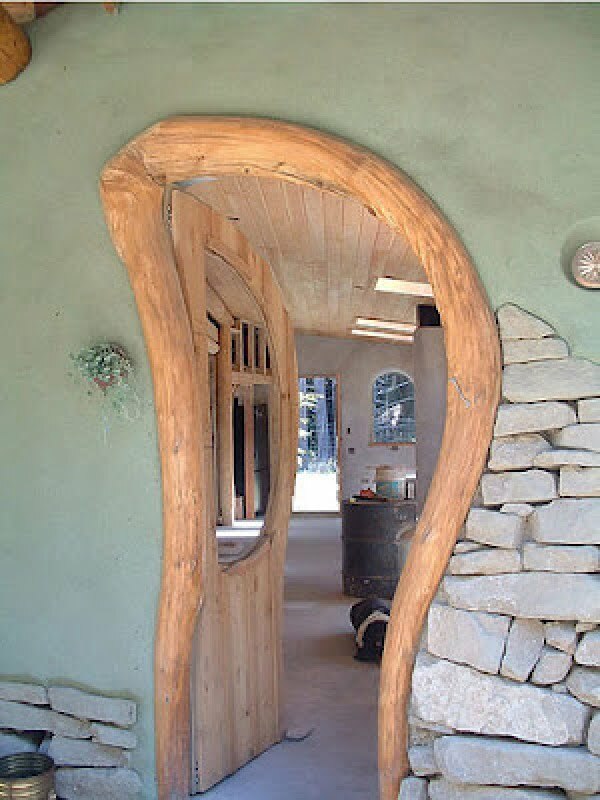 The shape of this wooden door embraces natural shapes of the nature. 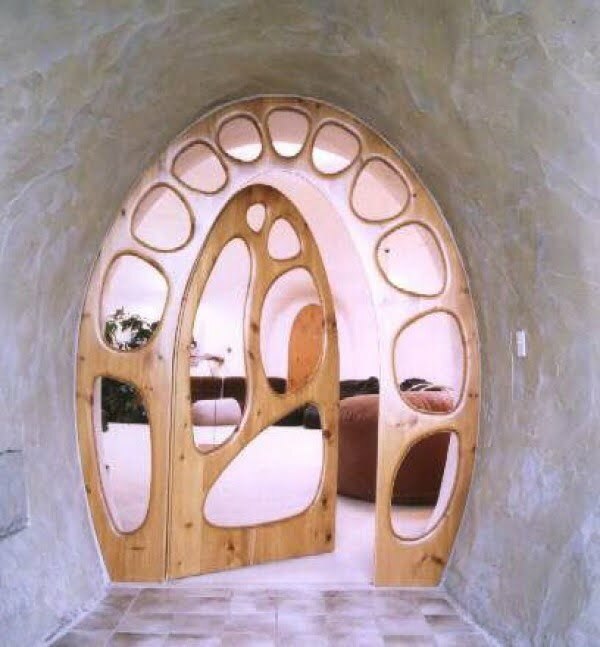 Artist William Lishman had his vision for an underground dome and this doorway tells a story about it. It’s as whimsical as the whole interior of the place and it’s truly inspiring. The Wilkinson House by Robert Oshatz is a temple of modern design in a peaceful site of nature. While using the lines of modern design it has to be in harmony with the natural surroundings. A pivoting D-shaped glass door is just one of the many brilliant design decisions in this residence. It’s just one of the doorways in one of the houses of Pioneer Log Homes in Williams Lake, British Columbia and it’s as gorgeous as the site. The intricate shape of the door frame carved in wooden logs is the perfect tribute to the nature these houses are surrounded with. 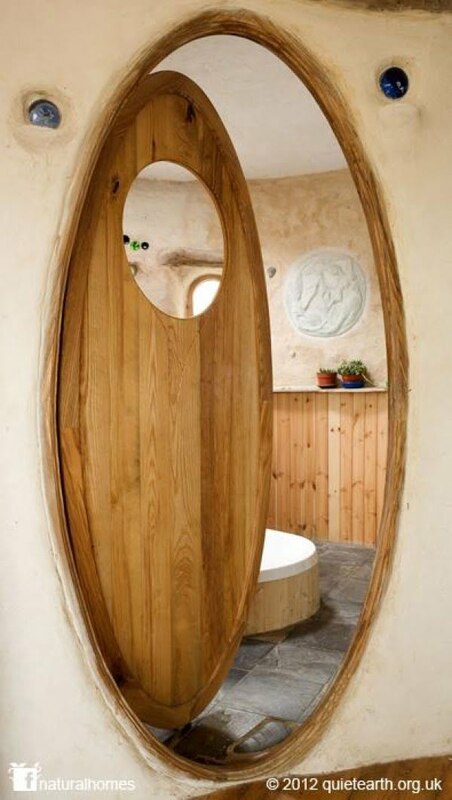 This bathroom door is in a straw bale house built in Wales. The whole idea behind building a house from straw bale is the perfectly natural home, so the interior has to be congruent. 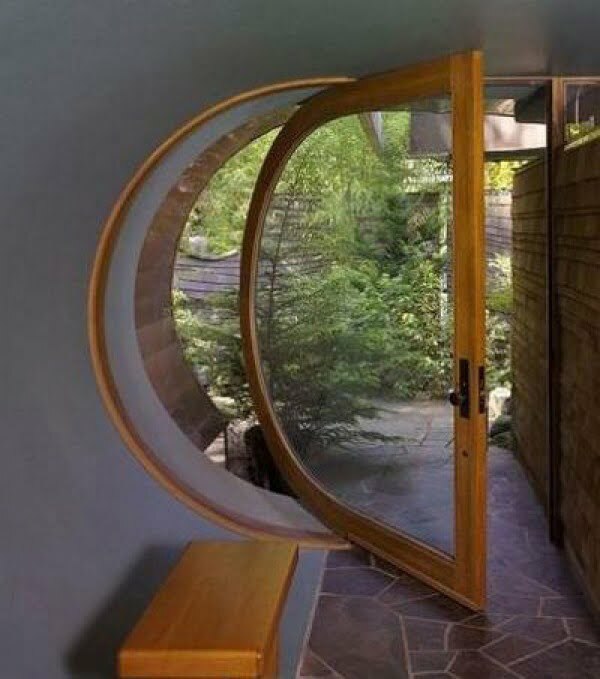 This oval shaped door fits the idea and it’s full of whimsy. This door that leads to a bedroom in Eser Hakanu’s studio home in Istanbul adds a modern decor element but maintains the traditional style.